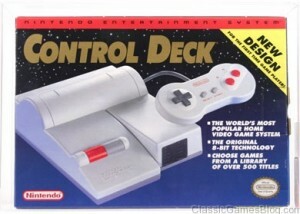 The NES Control Deck also know as the Nintendo Entertainment System console. 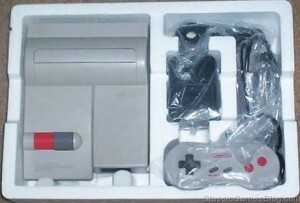 A very common problem for the original style “toaster” NES is when you put in a game and turn on the NES that you only get a blinking red power light and the system won’t play the game…This symptom can be caused by multiple factors so lets first understand what’s really going on here. 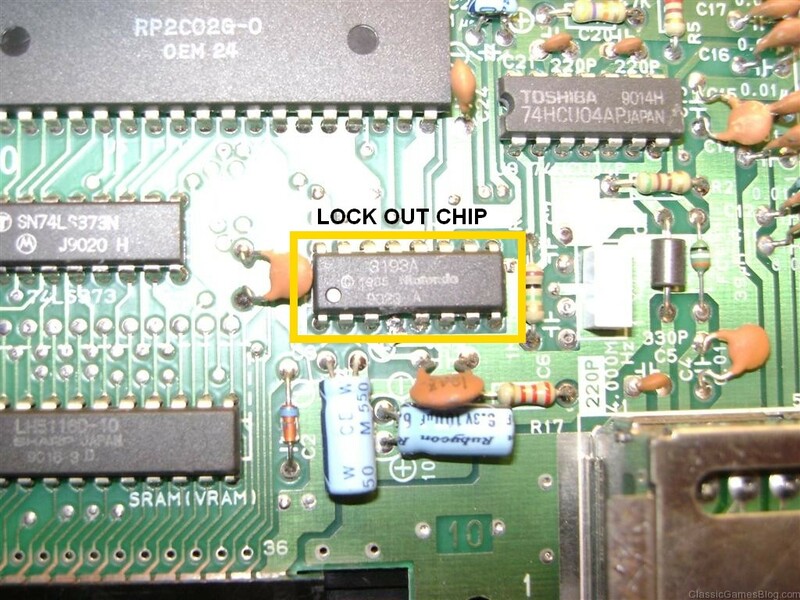 Nintendo installed a lockout chip (also known as the C.I.C. 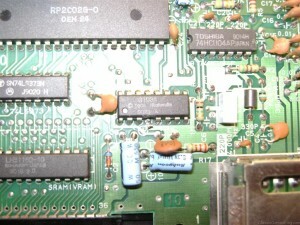 Chip) on the motherboard of the toaster NES. 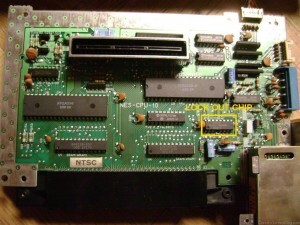 Note: The newer style “Top Loader” NES does NOT have a lockout chip on the motherboard. 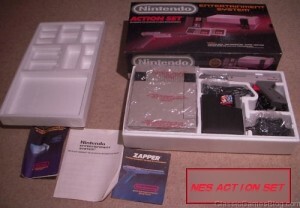 Nintendo implemented the lockout chip to try to stop non licensed games from being produced for the NES. Because of this lockout chip every officially licensed NES game has a chip in the game cartridge that syncs with the NES’s Lockout chip when you turn on the NES. When you turn on the NES the lockout chip on the motherboard looks to sync with the game chip. If the game doesn’t have the chip present the NES will then restart once every second because it “thinks” you have a non licensed game. Now that you understand the lockout chip and how it works you can better understand how to fully diagnose the NES. It’s pretty simple to disable the NES lockout chip. You need to open up the NES and get it down to the motherboard. 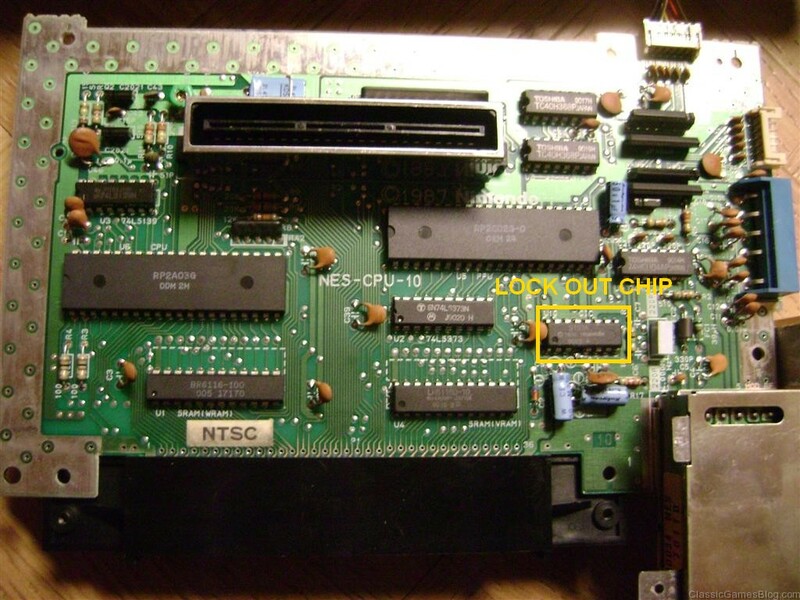 I’ve attached a picture for you to see where the lockout chip is located on the NES motherboard. All you need to do is cut pin 4 on the lockout chip. The way I cut it was by using a pick tool (looks like the one a dentist uses to scrape your teeth). All I did was pull pin 4 out of the chip and viola! No more NES lockout chip! 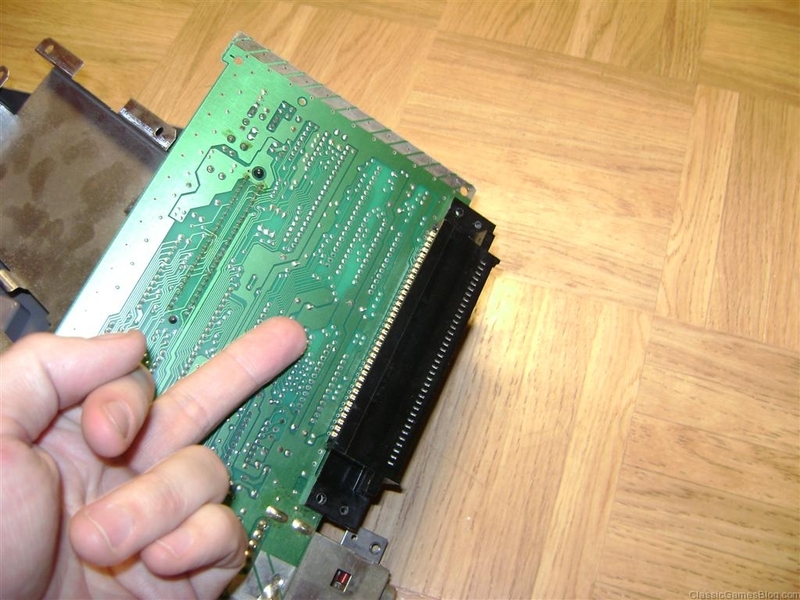 Once you do this your NES will not restart once every second if you don’t insert a game. Another common problem with the NES is a bad connection between the game and the NES motherboard itself. 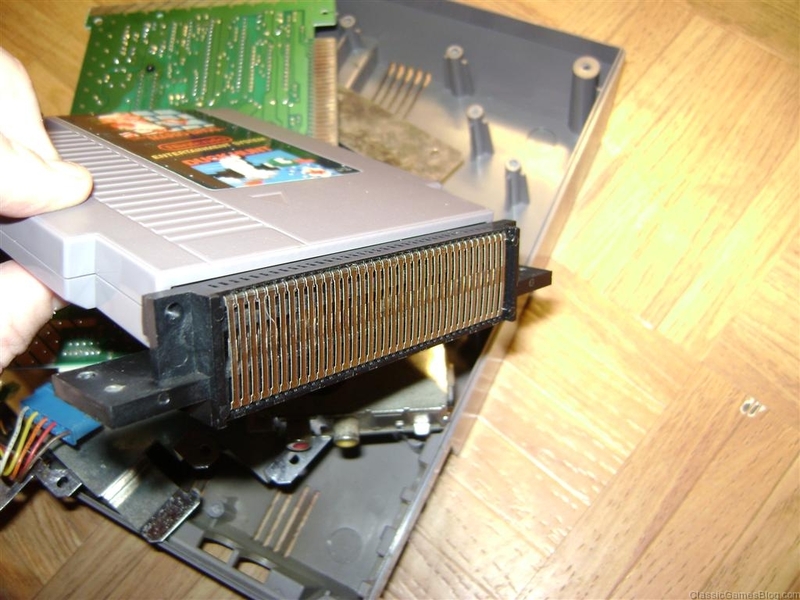 This is caused by the infamous “72 Pin Connector” that the Toaster NES has. 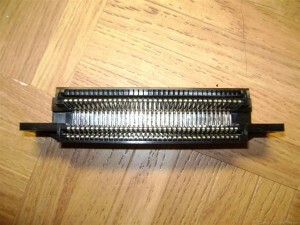 This connector is very sensitive to dirt and dust and dirty connections will almost always be the culprit. Sometimes the 72 pin connector itself is bad due to it getting bent or broken but this is more rare and a good cleaning should at least be tried to restore it back to original functionality. 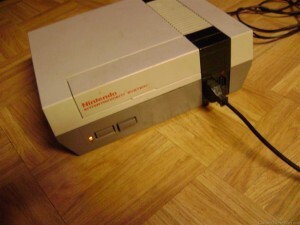 I hate the Nintendo NES 72 pin connector from the Toaster! Once you take apart the NES you need to slide off the 72 pin connector. Just wiggle it back and forth until it slides off. With the 72 pin connector off the NES motherboard you can now clean the pins with a 50/50 mix of alcohol. I’ve always had good luck with the 50/50 alcohol but there are other ways you can do it. I dipped Qtips in alcohol and then scrubbed off the pins on the motherboard. Using the other end of the Qtip or a clean rag wipe off the contacts until they are clean and dry. As you scrub the contracts your Qtip will turn black. The black is all the dirt and crud accumulated of the 25 plus years the NES has been around. Now that the NES motherboard is clean you can turn your attention to the actual 72 pin adapter. Over time it gets worn out and dirty so the first thing you want to do is clean it off using the same 50/50 alcohol. 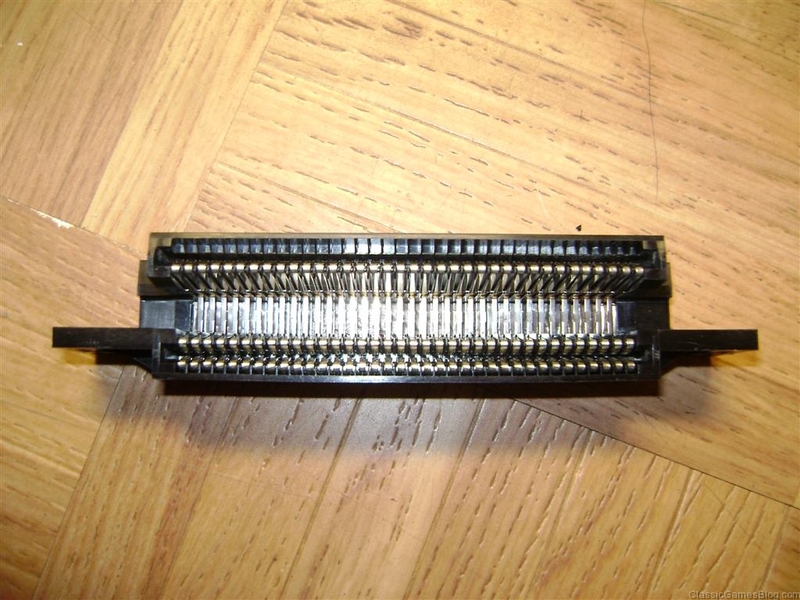 The infamous Nintendo NES 72 pin connector in all it's glory! Take a Qtip and dip it in the alcohol and run it over both rows of pins on the 72 pin connector. Use the other dry end of the Qtip to scrub the rows clean and dry. Just like when you clean the NES motherboard your Qtip will turn black. 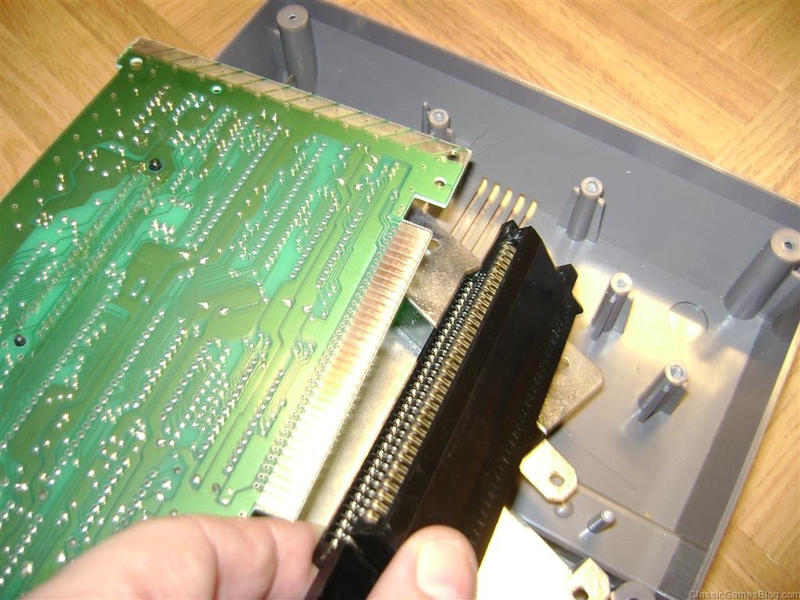 Since the toaster NES has you put in the games and then press the game down into place, this bends the pins on the connector over time. They get stuck bent down and it give you little or no connection from the game to the motherboard. To fix this you can use a dental pick or a very small flat blade screw driver to bend these pins back up into place. 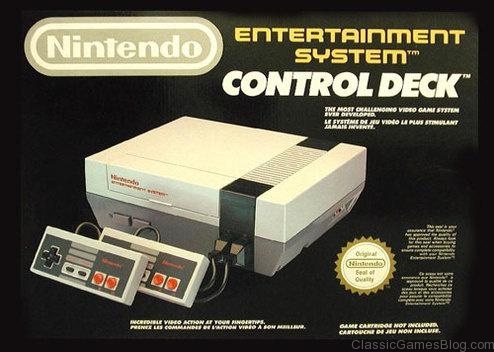 This article will include information on both the original NES, sometimes referred to as the “Toaster NES” and the NES 2 usually referred to as the “Top Loader”. The toaster came out in 1985 in the US. It was test marketed around the U.S. in New York and California. The Top Loader is more rare but the funny thing is the Toaster gives a better video signal due to it having composite out (instead of RF Out only like the Top Loader has). You can mod the Top Loader to have composite out like the Toaster so that’s something to think about.